How exactly can you unleash utter mayhem into the world? For Roadkill, a popular YouTube show that is now sponsored by Dodge, it’s simple. 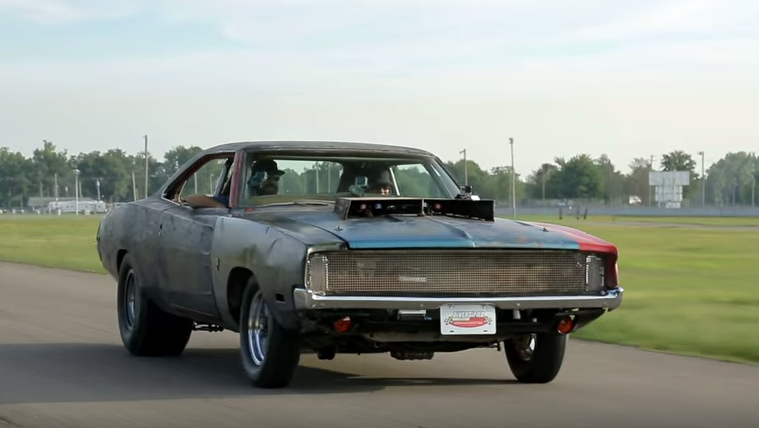 All you need to do is combine a classic 1968 Dodge Charger with a modern Hellcat powertrain—and you have just the amount of mayhem you need. Roadkill recently introduced the famous (or should we say infamous?) “General Mayhem” Dodge Charger earlier this week, after the old-school muscle car underwent a bit of a powertrain tweak. As part of an effort to get ready for a drag-race with against Monkey Garage, a well-known mechanic shop that features its pumped-up muscle cars on its own television show, the special Charger got a big oomph of power with a new Hellcat engine. Previously, a 440 from a motor home powered the “General Mayhem” Charger. Now, the Charger truly is hell-on-wheels with a complete engine-gearbox transplant from a modern 707-horsepower Dodge Charger Hellcat. It even pumps out even more power than the Hellcat’s factory specs, thanks to a nice little touch of NOS. While “General Mayhem” might not be the prettiest Charger to look at, we have to say—we would love to get behind the wheel. Why? Because this 1968 classic is sure to be one hell of a car to drive.